I recently wrote a short essay about why I feel the need to transition from pure freelance illustration to more community-based public arts. It has a lot to do with the responsibility I feel as an artist and a creative to help people understand the implications of climate change and how the world is going to change around us in the future. For this reason, I’m thrilled to say the essay was published on the blog, Artists & Climate Change. Check it out! 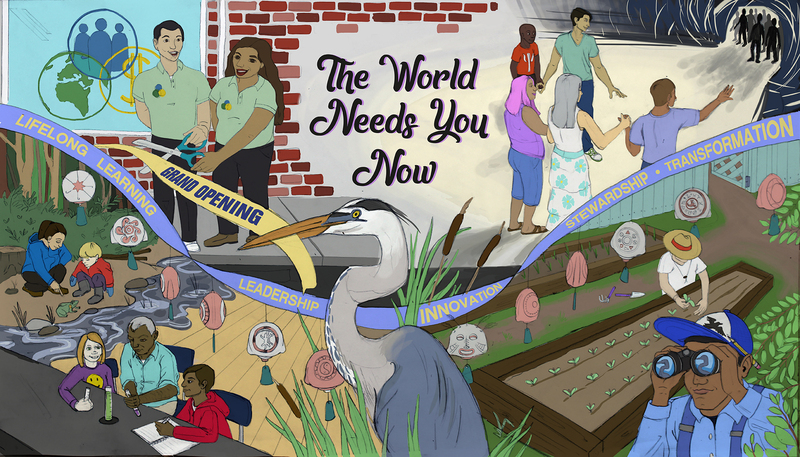 Want to help paint a mural and do something positive for Earth Day? This coming Monday from 11 to 5pm I’ll be in Keene, NH working with volunteers like you to execute the design of my latest mural for the Antioch Bike Path. Come join me!! Email me using the form on this site for location and more information. 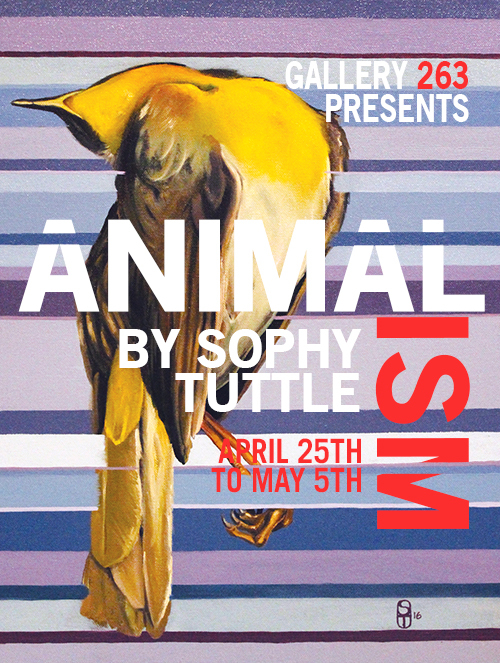 I’m so very excited to announce that I’ll be having a solo show called Animalism at Gallery 263 to celebrate and observe Earth Day! The show will run from April 25th – May 5th with a reception on Friday May 4th from 7-9PM. See you there! Here’s a link to more information. I’m honored to announce that my painting, “Borderlands”, has been included in the Fay Chandler Emerging Artist Exhibition and Awards at Boston City Hall. Please join me to celebrate all the great artists in this year’s show! 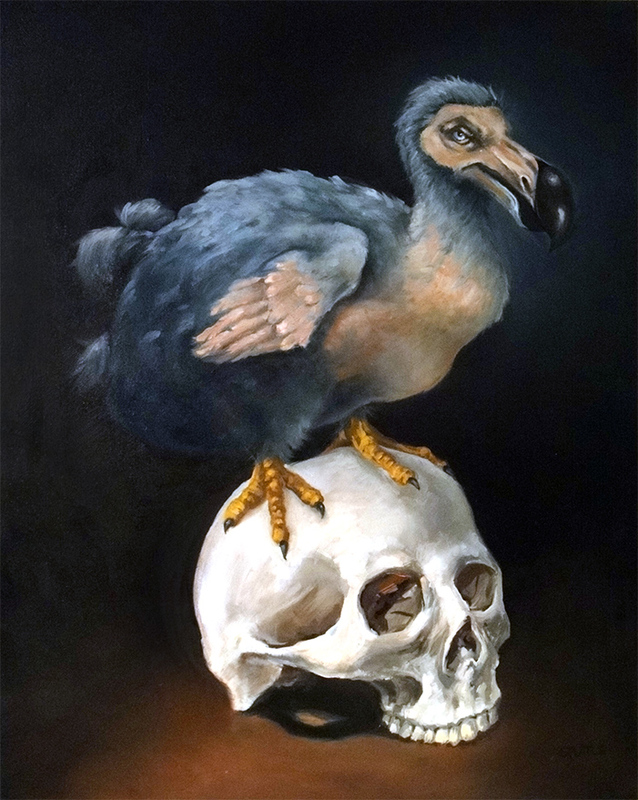 The art gallery at Eastern Connecticut State University will be hosting what promises to be a beautiful collection of animal-inspired illustrations from artists working in New England. I am honored to have several pieces in the show. Please join us for the opening reception. South Boston Open Studios is Next Weekend! Exciting News! 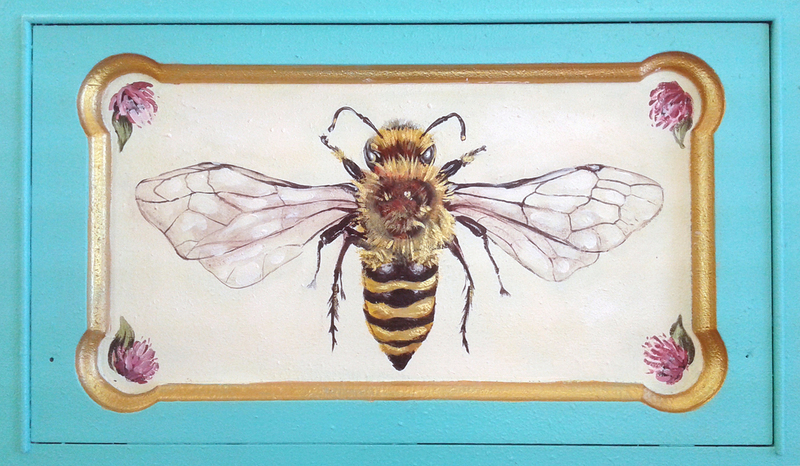 South Boston Open Studios is next weekend… May 21-22 from 12-6 each day. I’ll be in the Distillery Building again, hopefully in the same spot as last time. I have prints, cards, and original paintings to sell and it should be a really fun time. There are TONS of artists who show at this Open Studios, so it’s worth coming and spending a few hours wandering the wonderful, art-filled maze that is the Distillery. Additionally, 555 Gallery across the street will be hosting our auction to benefit the Paraclete Center. 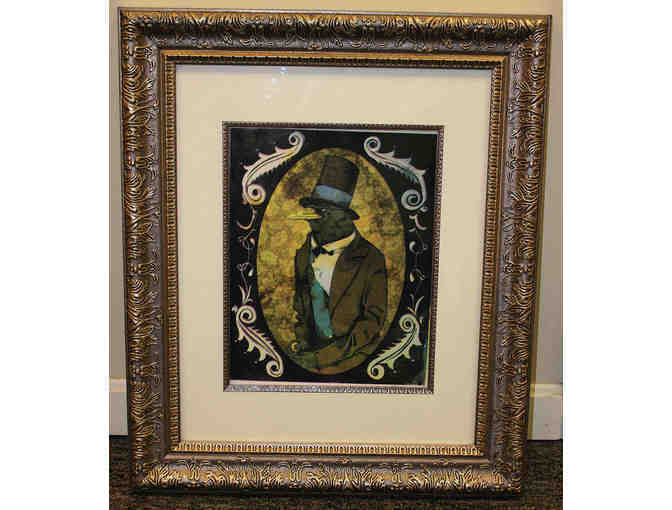 I donated a beautifully framed print of Crobraham Lincoln and there are lots of other paintings to bid on. The opening recpetion for this part will be on Friday, May 20, from 7 to 10PM. You can also bid on everything online here. I’m very excited to say I’ll be participating in Jamaica Plain First Thursday in April (on the 7th). The Coldwell Banker at 713 Centre Street. I’m not sure what the hours are yet so stay tuned. 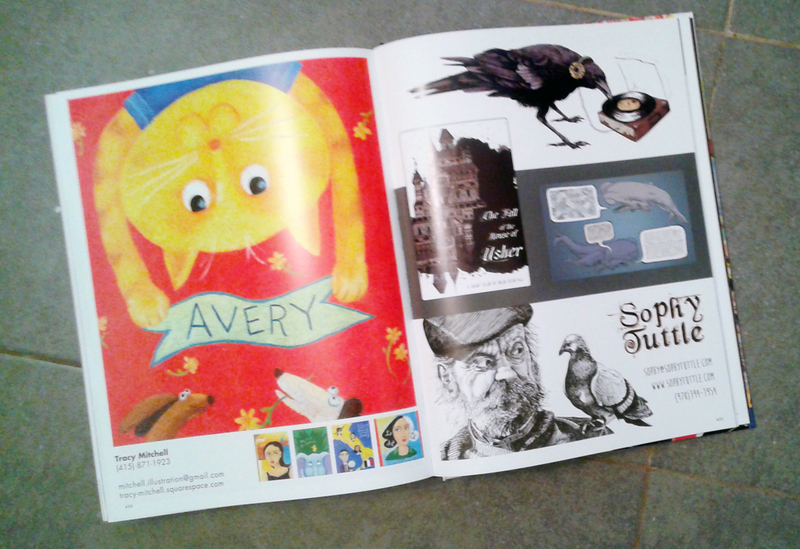 My other exciting announcement is that I’ve been accepted into UFORGE gallery’s First Five Years Show. They accepted my painting titled, “Revenge”. The event is on April 1st from 8pm to midnight. Tickets are $25 online or $30 at the door. The show will be up all month in case you can’t make it to the celebration. Check the website for more information. Come see me in person on April 1st at UFORGE! 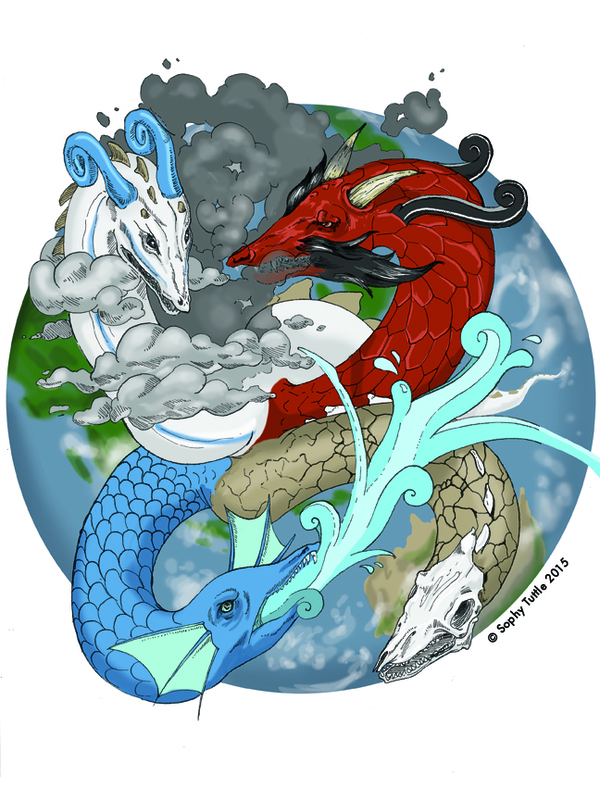 A few months ago I was asked to help someone illustrate the many-headed beast of climate change and how it is affecting our planet. 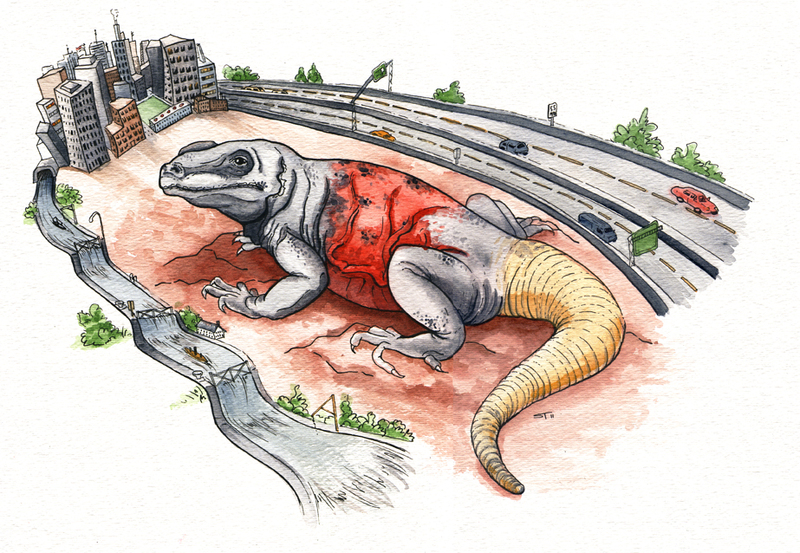 My client had very specific ideas about what he wanted, which is always kind of a blessing and a curse for an illustrator. We worked together tweaking this image for a long time, and this was the ultimate result. A few weeks ago, I was approached by someone from the City of Fitchburg to paint a piano for their community arts and music program. This week, I got started on the process. 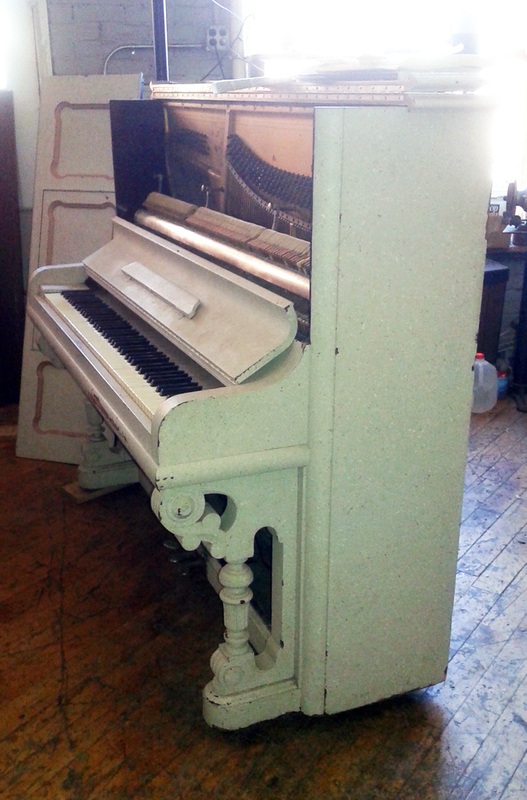 First, we went to the piano repair/storage place that was pretty incredible in and of itself. It was an enormous warehouse filled with every kind of piano you could imagine. We were greeted by Holly, who was smoking a cigarette and telling us all about our new “Dogbone” piano. 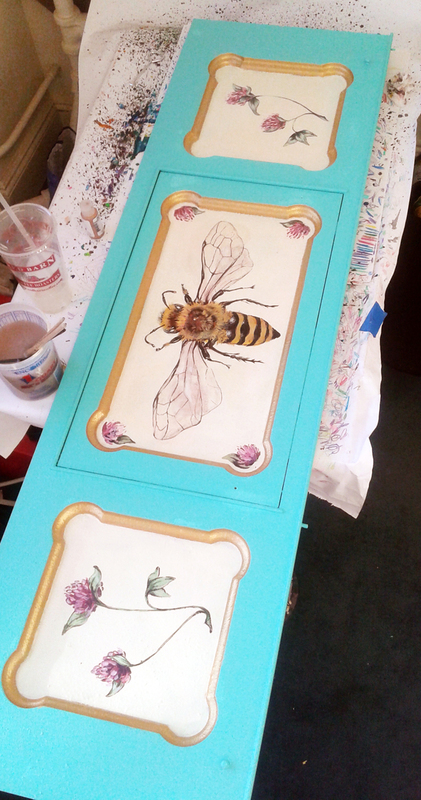 Apparently there was a mix-up about who was supposed to move the piano to the painting location, so I was only able to take the front panels for now. 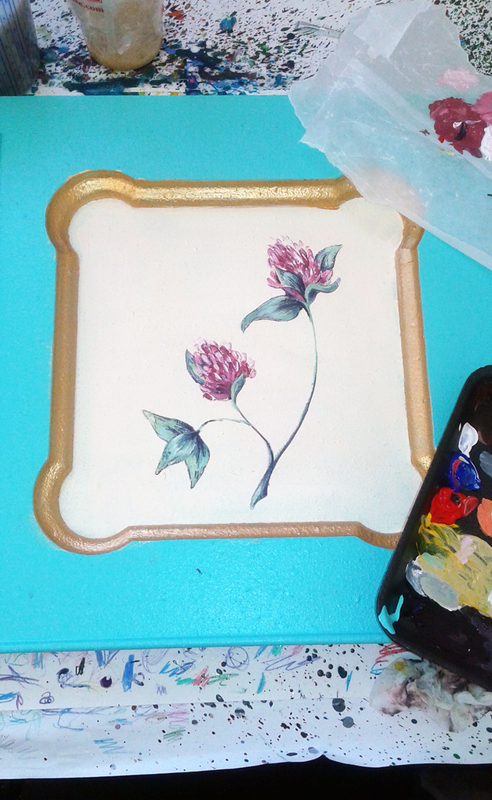 My contact Coe was generous enough to let me use her studio space downtown to paint. It’s a gorgrous old office building with great lighting and plenty of space. I was too jealous to ask how much she pays as I thought about my small, austere space in South Boston. 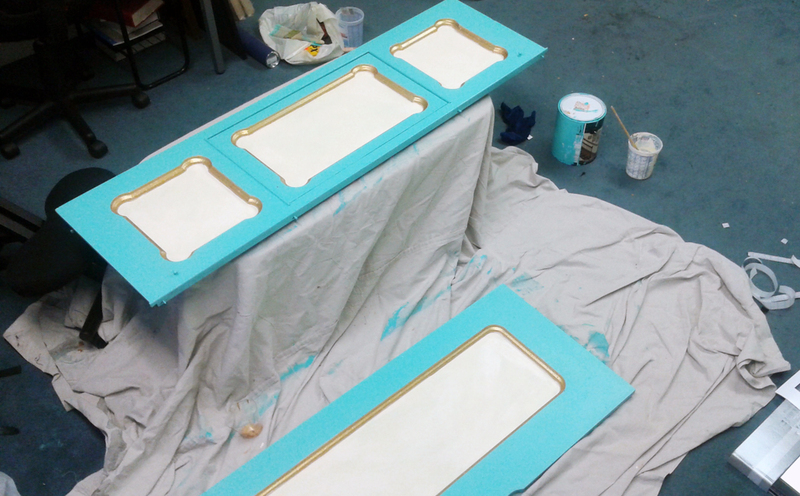 The panels painted with background colors. 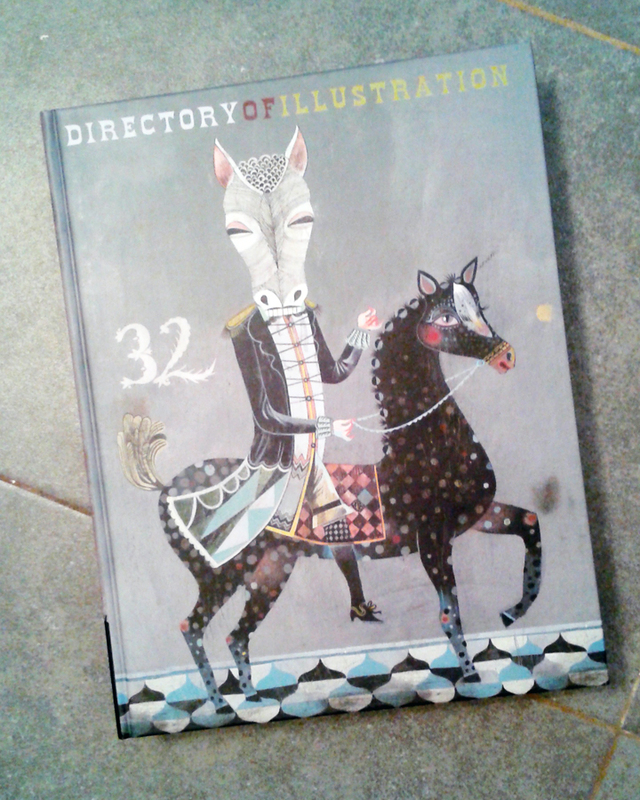 I got my copy of this year’s Directory of Illustration a couple of days ago and it looks great! For those of you who don’t know, the DOI goes out to art directors, creative directors, art buyers, and anyone else in the position to hire an illustrator in America. Fingers crossed that it gets me a bit of work!